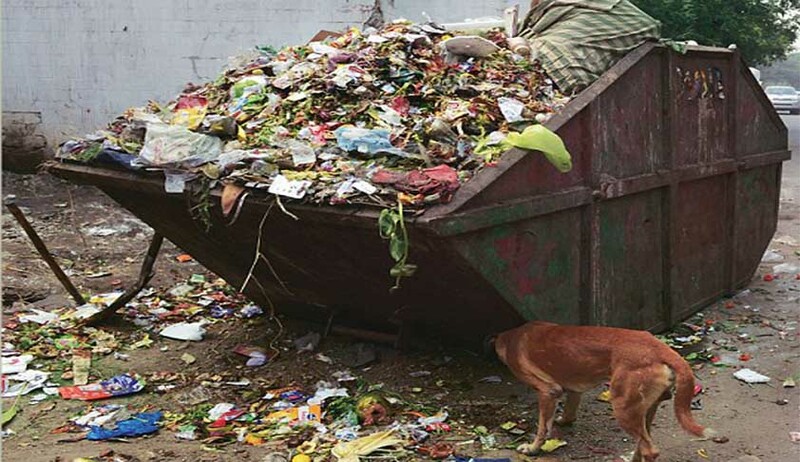 The Delhi High Court has today stayed the New Delhi Municipal Council (NDMC) drive under the Smart Cities initiative to demolish community waste bins or Dhalaos. The case was argued by Mr. Prashant Bhushan on behalf of All India Kabadi Mazdoor Mahasangh (AIKMM), a Delhi based union of waste workers filed by advocate Shakti Vardhan and Amiy Shukla. It was contended on behalf of the petitioners that that the bins were being demolished without any alternate waste disposal plans and would lead to health problems and displacement of waste picker livelihoods. The demolition of the community bins began on 16th January 2016 under the “Atm Nirbhar” Scheme in order to build toilet complexes on the same sites. Apparently this scheme is meant to provide jobs to waste pickers in maintenance of community toilets. However, this so called Scheme was never formulated and is materialised contrary to the Solid Waste Management Rules 2016 by the Ministry of Environment, which clearly prefers and promotes “decentralised processing” which means establishment of dispersed facilities for maximizing the processing of biodegradable waste and recovery of recyclables closest to the source of generation so as to minimize transportation of waste for processing or disposal. The Scheme has not been rolled out as per any laws/plans by the Government of NCT. In fact, the sole beneficiaries are the private companies who will be benefited after the removal of the decentralized processing which are involved in recycling of the waste. Not only this, the approach of NDMC is deeply contradictory as these toilet-cleaning jobs are created by destroying existing waste picker livelihoods. So far 2 community bin structures have been demolished to make way for such toilet complexes and none of the toilets have come up in their place. The Petitioners contended that there is a gross violation of Article 14 and 19(1) (g) of the Constitution of India where rag pickers and beggars are lured to work for something which is not approved and sanctioned by the Government , leading to the grave threat to their only source of livelihood as a waste picker/rag picker. Issue appropriate Writ, order or direction to the Respondents to propose a roadmap/plan/scheme in accordance with the Solid Waste Management Rules, 2016. Issue appropriate Writ, order or direction to the Respondent to restraining them to demolish the garbage houses in the NDMC Area till any such scheme is formulated legally. Issue appropriate Writ, order or direction to the Respondent to conduct a survey of all the rag pickers/waste pickers as defined in the Solid Waste Management Rules, 2016 in the NDMC Area.